When you’re going on a “once in a lifetime” trip, it makes sense that you want to take pictures to commemorate the event! But what type of camera should you bring?! Here are some options recommended by a former professional photographer and Grand Canyon team member, Dean. 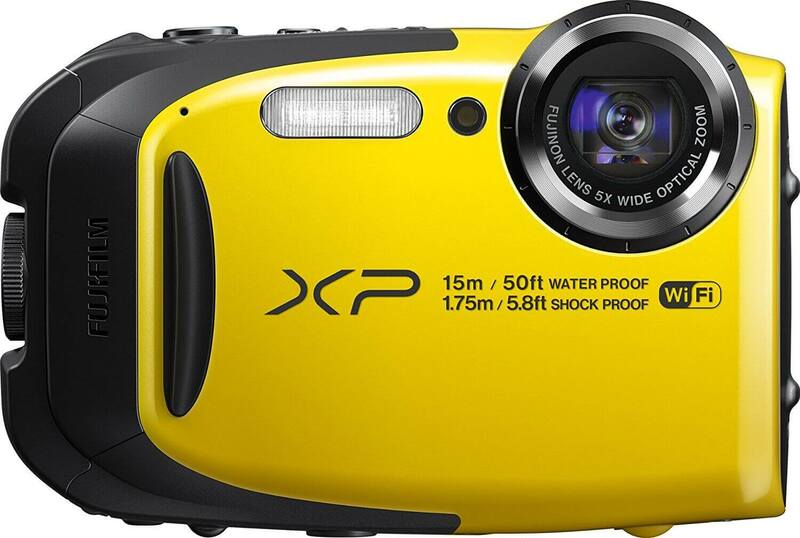 Nikon COOLPIX Waterproof Digital Camera: You can’t go wrong with Nikon. They’re one of the best in the business and this camera is a great all-around option. 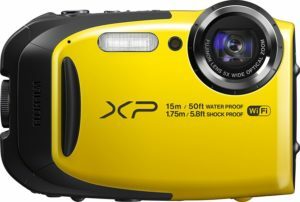 Panasonic Waterproof Digital Camera: I’ve seen these a lot down there because I think they’re a bit more durable than the others. Great zoom to catch those condors flying above you. Fujifilm FinePixnWaterproof Digital: This one is cool because it claims to be a bit more shockproof and dustproof than the others. It also shoots at 10 frames per section for those action shots of the boat going through rapids. Guests often choose to use their phones as a camera on their river trip. Because you will not have reception in the canyon we suggest placing your phone on airplane mode to conserve battery. Water, fine sand and sun are everywhere and whatever camera you bring, you’ll need to actively protect it from these damaging elements. The easiest way to keep your camera safe is simply by keeping it with you in the personal dry bag that we provide during orientation. The bag has roughly a 14-inch diameter and is about two feet tall (and about half that height when closed securely). This is where you can keep sunscreen, your bandana AND your camera. Water is always a concern but these dry bags do a pretty amazing job of keeping that pesky stuff out (as long as you seal it correctly!). That being said, we do suggest an added layer of protection such as keeping your camera in a ziploc bag inside the dry bag. Another option is bringing a small Pelican case, although there are positives and negatives with this one. The good news is that, oh boy, your gear is protected! Sand, wind, water, humidity, you name it, if it is in the Pelican case you’re pretty safe. The downside is that it can be a little clumsy. You’re also responsible for keeping an eye on it and strapping it down with you on the boats (carabiners work great). The other downside is that it can be tough to access and open if you see something you need to shoot quickly. If you’re interested in shooting during the rapids, just get a GoPro. They are pretty much made for the Grand Canyon environment and people get some great stuff from those little cameras. If you’re bound and determined to use your DSLR in the rapids, a waterproof shell from companies like AquaTech or ThinkTank make that possible. They are great at keeping (most) water out and also protect your camera from dust and sand. If you decide you do want to bring your DSLR, you need to protect it! We strongly recommend insuring your camera before bringing it onto the Colorado River. Many rapids can pack a punch and when the guide tells you to hang on with two hands, they mean hang onto the raft and not your camera! No shot is worth injuring yourself over. You are able to charge your camera or phone on the river with our Yeti Goal Zero chargers, that are about the size of a 12-volt battery. We bring one of these chargers on all of our trips. The Yetis have outlets on them — for AC (wall) plugins, USB devices, and even car chargers. We ask you to limit your use of the Yeti charger to just once on your trip. The other thing we request is that you not ask to use the Yeti to charge devices other than cameras or phones used as cameras. These chargers usually last for the duration of your trip, but if you’re expecting to use your camera a lot and you’re nervous about it, bring extra batteries. A quick note on drones: Drones are prohibited within the Park boundaries. All Grand Canyon Whitewater river trips are 100% in Grand Canyon National Park and therefore, regardless of whether or not you are a licensed operator, all drone use is prohibited on a river trip in Grand Canyon.